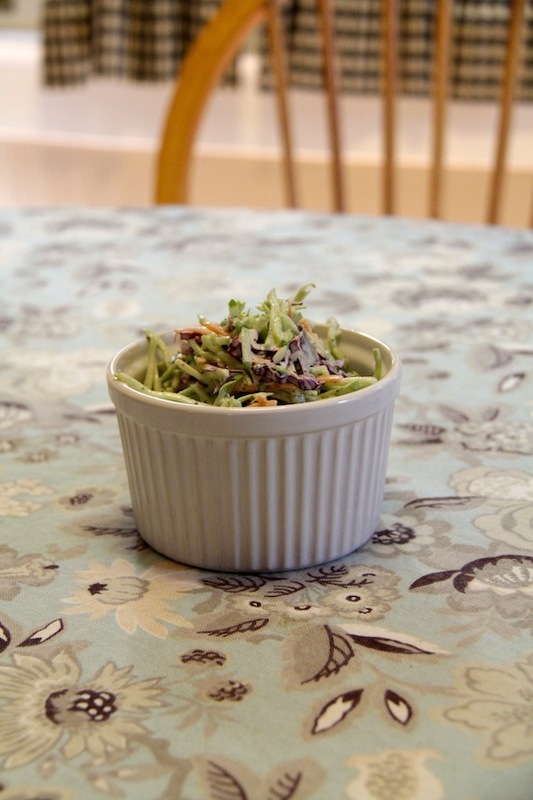 This easy and versatile coleslaw dressing recipe can be used with either whole head cabbage or an equivalent amount of that tasty broccoli slaw mixture which is available at the store. First, make dressing in a small mixing bowl by combining all ingredients (other than the cabbage) and then mix thoroughly. Taste the dressing and adjust as necessary. Place your shredded cabbage in another bowl and pour about half of your dressing on the cabbage and mix completely. Keep adding dressing until it is thoroughly coated but not drowning.